Welcome to A Sampling Bee! Today, I am sharing with you Bulu Box! 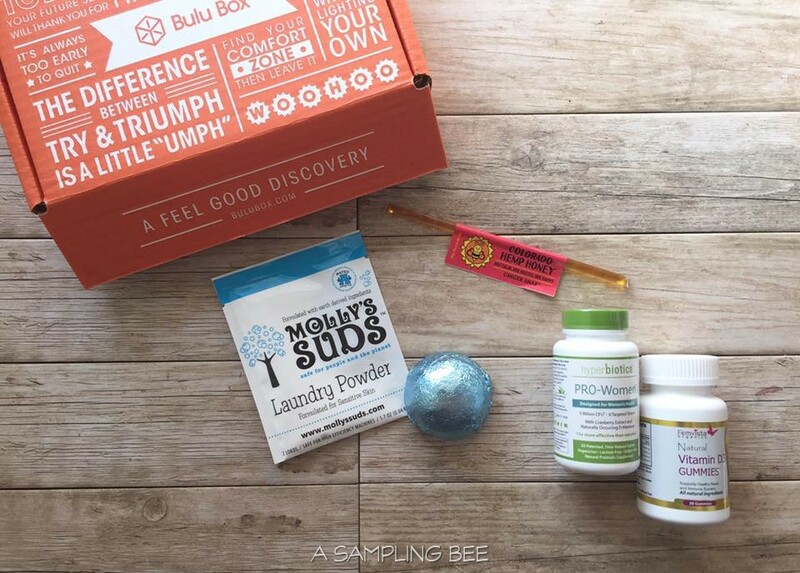 Bulu Box is the first health, nutrition and weight loss discovery box designed to help you feel your best. Each month, you’ll get a box curated with a new mix of 4-5 premium samples from top brands to try. Every sample is sufficient enough to decide if the product is right for you. Items in a Bulu Box may include: vitamins, tea, protein bars, chocolate and accessories. See what was in my Bulu Box below! 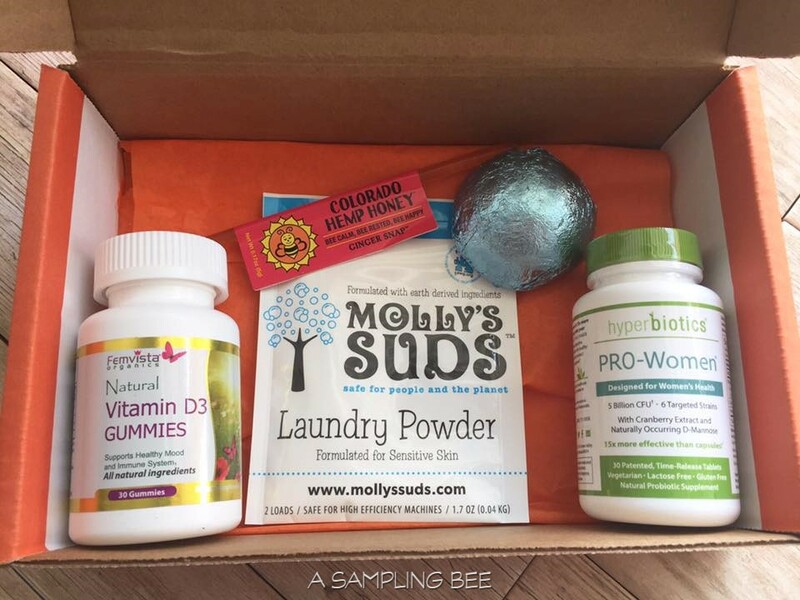 Molly's Suds Laundry Powder is comprised of only five earth-derived ingredients and formulated especially for sensitive skin, Molly’s Suds Laundry Powder is safe and ideal for your clothes AND your family. Colorado Hemp Honey Honey Sticks contain 2 super-foods: raw honey & Industrial Hemp (Cannabis Sativa L.). Cannabinoid Rich Hemp Extracts contains non-psychoactive nutritional properties. Hyperbiotics Pro-women Probiotics are all natural and contain 5 billion CFU. The time-released capsules are vegetarian, lactose free & gluten free. Femivista Organics Natural Vitamin D3 Gummies are organic and only contain natural colors and flavors. Femvista Organics Inc., does not use Gelatin or High Fructose Corn syrup, in any of our products as part of our commitment to only use natural ingredients. Enfusia Muscle Bomb is an effervescent fizzing and foaming bath bomb that relaxes your tired muscles. Contains Epsom salt and a blend of essential oils. Bulu Box is a great subscription box. For those who love receiving healthy, all-natural products, this is the box for you. The items that I received were all great. Especially the Molly's Suds- my favorite product in this month's box. I also liked the bath bomb. I love a nice, relaxing bath and this bath bomb made me free super relaxed. Smells good, too! I have been taking the Vitamin D3 capsules and Pro-Women capsules daily and I like them! Last but not least, is the honey and hemp stick. Yum! It was great right out of straw as well as in my tea! Bulu also has a weight loss box available for $10 a month. 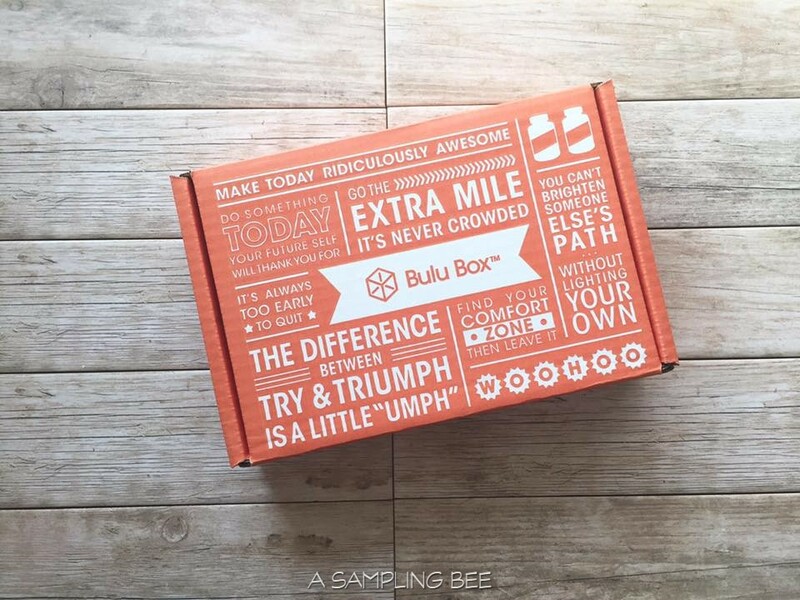 I received a free Bulu Box for review. All opinions are my own. Always!